"Test and fully delineate the extent of chromium contamination in the deep groundwater at the Site in order to ensure that this contaminated water does not discharge to the Hackensack River, or flow to any fresh water aquifer that is used as a water supply, or to the bedrock." From the summer of 2003 to the end of 2006, Honeywell did an extensive investigation to measure the chromium concentration in the deep groundwater (40 to 70 feet below the ground) and in the bedrock (bedrock starts at about 70 feet below ground and goes very deep) that exists below the deep groundwater. It is not uncommon for programs of this magnitude to take a decade to complete, but through cooperative team work with the interested parties and Honeywell's groundwater consultant we were able to accelerate decision making and complete the investigation in about three years. One of the major conclusions of the investigations: groundwater does not flow to any freshwater aquifer that is used as a water supply. The shallow plume on the Roosevelt Drive-In site was remediated by dewatering COPR prior to excavation. Honeywell recommended a deep groundwater cleanup remedy that consisted of capturing the contaminated water and pumping it to a treatment plant. This pumping location, which is at the river's edge, has a dual benefit. It captures contaminated groundwater before it reaches the river and it has drawn back the contaminated water that has already moved under the river. 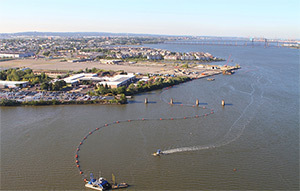 The groundwater is treated by the wastewater treatment plant that Honeywell constructed on the site. 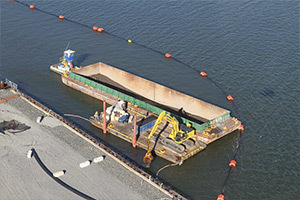 A sediment remedy was approved by the court on May 28, 2008. 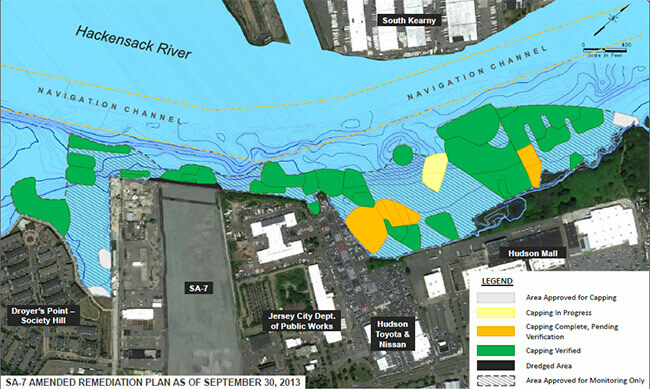 Honeywell obtained permits from the U.S. Army Corps of Engineers and the DEP for this work. The agencies determined that the proposed activities would have no significant environmental impacts. The sediment remedy is largely complete. Long-term monitoring for all areas to assess the effectiveness of the remedy. 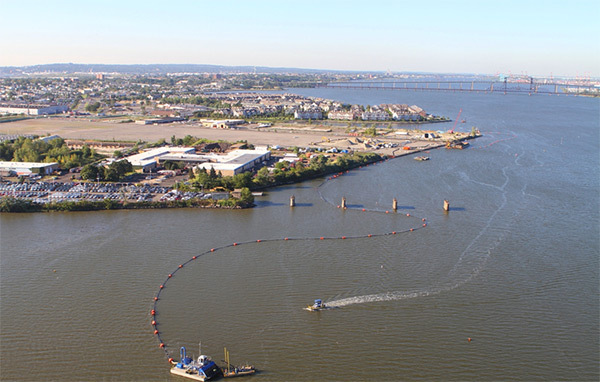 Dredging of approximately 2,000 cubic yards of sediment from along the shoreline of the former Roosevelt Drive-in site was completed by a mechanical dredge working from barges in the River. Capping with sand and stone layers designed to resist erosion began in August of 2012. Most of the capping has been performed from the water. Cap placement from land was done in limited areas, such as Droyers Cove. A spreader barge hydraulically placed most of the material.